It is wise for any parent to expose their kids to music at an early age. Studies have shown that music, in general, has a positive effect on the cognitive growth of any child. However, with the wrong equipment, you might be exposing your kids to damage to the ears or other complications. 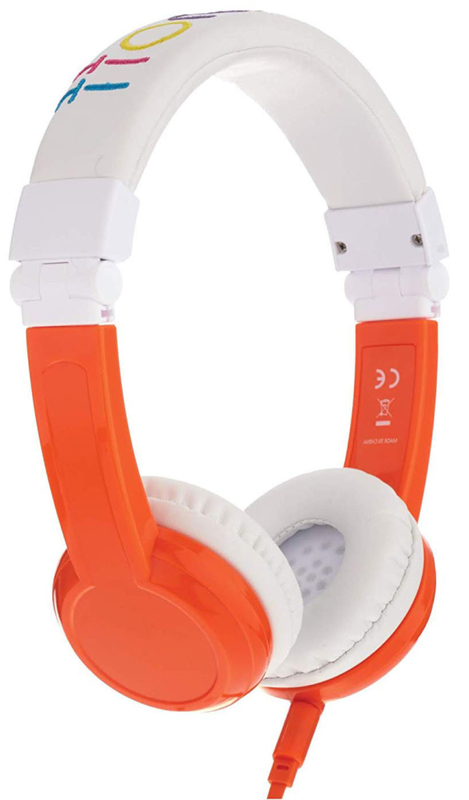 If you are in the lookout for best headphones for kids then look no further because you are in the right place. In this article, we will talk about the headphones that we think excel in providing both quality and safety to your kids. The market has tons to offer when it comes to headphones. However, the selection for kids can be scant and the options aren’t that many. Most of these headphones, in fact, are very poor in quality and are just fancy looking to entice the kids. Thankfully, we are here to provide you with a list of the best headphones for kids. Read on to learn more about these products. These provide an interesting design as well as good sound quality. If you are on a tight budget, the Onanoff BuddyPhones Explore is a good option. It comes with flashy colors and interesting designs which are sure to entice the kids. Despite the flashy design, the headphone is surprisingly sturdy and robust. This is possible due to the high-quality plastic being used. It is equipped with passive volume limiting which means that while it is not as efficient as effective, it still does the job. Perhaps the biggest drawback of the Onanoff BuddyPhones Explore is the fact that it comes with a cord. The cord thankfully can be detached and set aside when not in use. The Puro BT2200 are great headphones. The company name might not ring a bell. However, regardless of this, the Puro BT2200 is a solid headphone for kids. 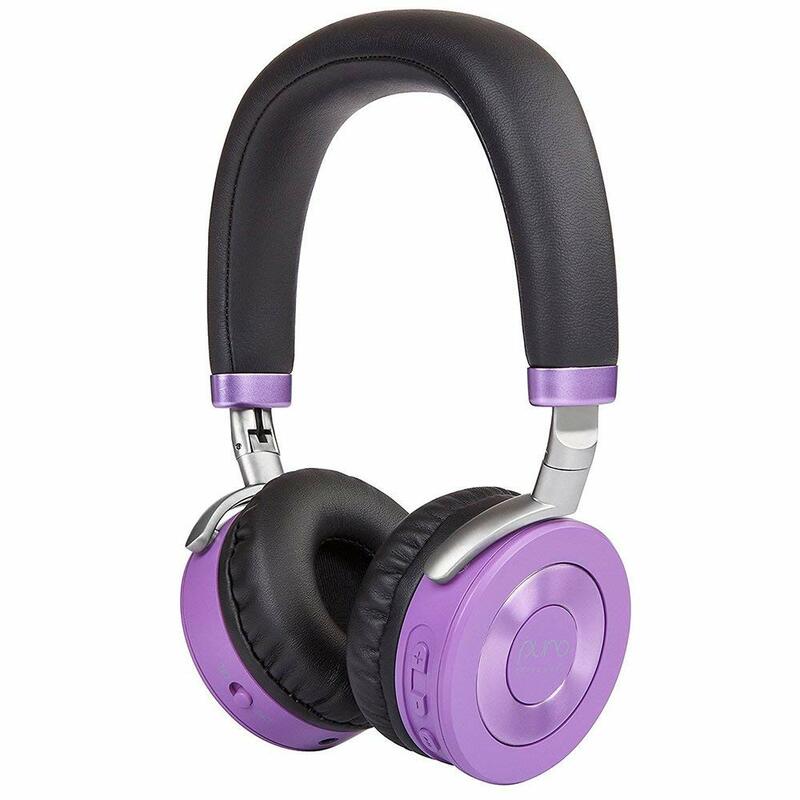 The Puro BT2200 excels in providing a safe listening time for your kids. It comes with an efficient volume limiting feature which keeps your kids from listening to sounds at harmful levels. It comes with a built-in Bluetooth wireless connection. This means that your kids can pair it easily with any audio device, smartphone or tablet. The Puro BT2200 is also very compact and lightweight. It can fit seamlessly on kids ranging from 2 years old to 11 years old. They are padded very tightly and are comfortable to wear. In terms of construction, the Puro BT2200 is built with a robust and solid aluminum frame. This is worth noting since most headphones for kids nowadays are made with flimsy, low quality plastic or some sort of weak metal. Equipped with efficient and user-friendly on and off switch as well as volume controls, your kids can manipulate the volume of the music he or she is listening to but only at a certain level. Your kid can enjoy hours of use because it has a battery life of 18 hours on a single charge. Just make sure not to have your kid listen to a prolonged period of time. Perhaps the best part about this product is that it comes with a 30-day money back guarantee. The third entry on our list is yet another corded headphone. THE JLab JBuddies Studio provides your kids with a comfortable fit and good sound quality. The JLab JBuddies Studio can fit larger kids. It is also budget friendly despite being equipped with high-quality material. The wire comes with a microphone and a remote which allows your kids to turn on and off the music with a simple touch of the button. Despite being corded, we felt how sturdy and well constructed the wire is, thanks to the fiber wrapping. It comes with passive volume limiting which is not as efficient as Bluetooth voice limiting. The manufacturer made some compromises because it is a budget offering. Perhaps the biggest drawback with the JLab JBuddies Studio is the cord cannot be detached. This means that it remains permanently on the headphones. Because of this, carrying it around might be bulky for your kids. The next entry on our list is an excellent choice if you have kids that want to watch movies or listen to music at the same time. It may look unnecessary for some, but this is very useful for those kids who want to watch movies together. Nevertheless, this product encourages more bonding time for your kids. The Puro JuniorJams comes with two headphones on a single wired cord. For example, if your kids want to watch their favorite movies on the iPad at the same time, they can do so by plugging in the single cord and then they can listen at the same time through separate headphones. The product comes with Bluetooth connectivity which provides a more efficient volume limiting capacity. It can also work corded. 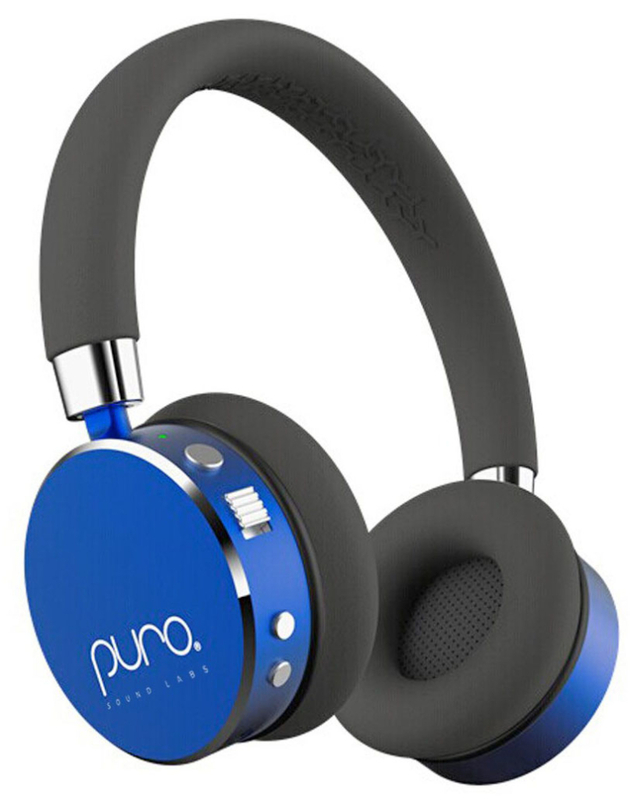 The Puro JuniorJams also gives both headphones a comfortable fit and ergonomic design. The design is understated but is pleasing to the eyes. Perhaps our greatest gripe about the product is the mediocre plastic being used to construct both headphones. If your kid has an impeccable taste in determining excellent sound quality, then the Sony MDR-222KD is an excellent choice. It dons a more mature and understated design which can entice older kids who feel like they might be too old for flashy designs. The headphones weigh only 1.7 oz which means that portability isn’t an issue here. The foam ear cushions can also be removed. The highlight of the Sony MDR-222KD is the audio output it provides. This is possible through the 13.5 mm drivers it comes with. It is also equipped with neodymium magnets for a solid listening experience. The volume limiting feature it comes with is also very efficient and reliable. However, it does not have Bluetooth or any sort of wireless connectivity. If you want to get your hands on the Sony MDR-222KD, be sure to prepare some cash as it is more expensive compared to the others in this list. So there you have it, those are the products that we consider as the best headphones for kids. These products not only excel in terms of providing safety for your kids, but they also tick boxes in terms of audio output, design and build quality. Just because a certain headphone is equipped with top of the line specifications, that doesn’t mean that it is safe for kids. With that being said, let us discuss some frequently asked questions regarding headphones for kids. Headphones were first used during the 1950s. Since then more and more people were using this considerably new technology. However, headphones were never widely used up until the last 15 years. With the advent of audio devices such as the iPod, mp3 players and walkmans; the demand for headphones have greatly increased. Because of this, millions of people have been reaping the benefits of using headphones. However, with the increasing popularity of headphones, the potential risks of headphone use with hearing loss has been brought up. Because of this, there are several studies that try to correlate the degree of hearing loss with the use of headphones. A study done by audiologists as well as otolaryngologist highlighted the relationship between hearing loss and the use of headphones. This study was published by the Journal of the American Medical Association. According to the study, there is a high chance of developing hearing loss with prolonged use of headphones. Moreover, it explained that the volume or intensity produced by the headphones has a greater impact on developing hearing loss compared to the frequency of use. However, it is also worth noting that in the same research, it mentioned that there is a significant decrease in the number of hearing loss cases brought about by headphone use from 2007 to 2010. The numbers were from 22.5 % to 15.2 %. Now to answer the question, are headphones harmful to children? Of course, they are, however, there are some features and some aspects employed by manufacturers that help alleviate the growing number of cases attributing the hearing loss to headphone use. In order to ensure safety for your kids, manufacturers have done a huge effort to make headphone safe for use. This is important since children have markedly more sensitive eardrums compared to us adults. Even a short but loud sound can elicit on the eardrums on a child which can progress to hearing loss if not properly addressed. One of the most important factors to look for when buying a headphone for kids is the presence of some sort of noise cancellation technology. This feature prevents your kids from turning the volume up unnecessarily. Think of it this way, your kid is enjoying his favorite show on the iPad in the living room. However, his older brother is also their playing video games on his Xbox at full volume. Because of this, the younger sibling turns up the volume to drown out all the noise from the video game. Doing this can cause serious damage to your kid’s ears. This is where noise cancellation technology enters the picture and diminishes the background noise. With this, your child can hear clearly despite the lower volume, not having to constantly turn up the volume. There are two kinds of noise cancellation technology. The first one is active noise cancellation. Active noise cancellation is the more aggressive and more efficient way of canceling background noise. Headphones do this by the use of electrical components embedded within the device. These components emit a 180 degree sound wave that is coupled with ambient noise. 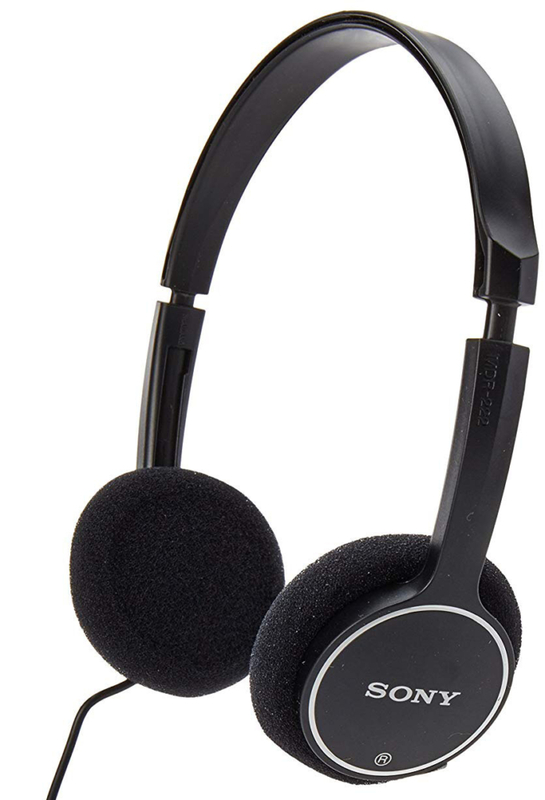 This achieves better noise cancellation without dampening the overall audio quality from the headphones. 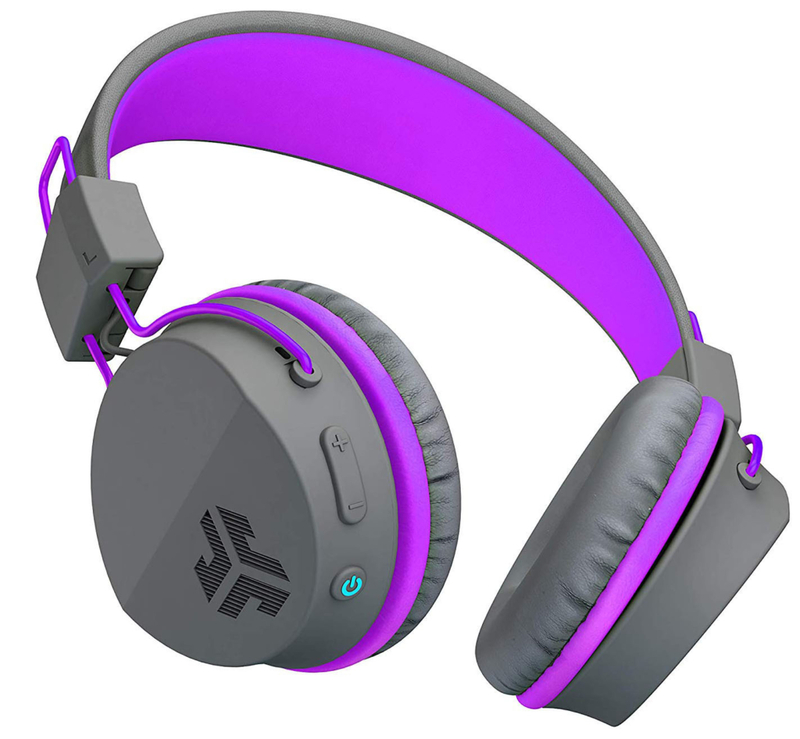 The second type of noise cancellation technology is passive noise cancellation. Contrary to active noise cancellation, this type of technology makes use of an acoustic seal. This seal can be made of a variety of materials. The purpose of this seal is to provide a more efficient cover over the ear. This seals or blocks out the noise from the environment. It is evident that active noise cancellation is far more effective and reliable when blocking out outside noise. Moreover, passive noise cancellation also relies on the optimal fit of the user. Having this is better than nothing. Another useful feature manufacturers employ is the use of volume limiting. You could say that the best headphones for kids should be equipped with this feature. As the name implies, this feature limits the volume level being played on the headphones. Usually, headphones for kids with this feature are only limited to playing sound at 85 db. This is very useful since you do not want to expose your kids to volumes that can cause damage to the ears. Aside from the features being mentioned above, there are some other things that you can do in order to help decrease the risk of having hearing loss for your kids Here are some of the tips given by an otolaryngologist. The volume limiting feature of the headphones is there for a huge purpose. They prevent your kids from listening to the audio from your device at very high volume levels. It is also worth noting that some devices such as smartphones come equipped with a volume limiting feature of their own. This means that whenever you are playing a song at a very high volume, the phone automatically lowers down the volume. It is also able to detect whether your kids are playing songs on the headphones for prolonged periods of time. Other than the intensity of the volume your kid’s play, the length of time can also play a huge factor in eliciting hearing loss on your kids. In order to make use of this feature, you can go to the audio device, smartphone or Tab used by your kid and go to Settings. Normally, devices have its own setting which allows you to toggle Enable/Disable the Volume limiting feature. Simply toggle enable so that your kid no longer listens to songs or any content at very high-level volume. You can also set a PIN or password with regards to this feature so that your kid cannot disable the feature. With this, you are assured that your kid listens to songs at a safe volume at a safe length of time. Another important yet very easy thing you can do to avoid a hearing loss on your kids is to simply limit his or her time with the audio device or smartphone. Moreover, limit the time your kid has access to the use of headphones. For example, you can allow 30 minutes to even 1 hour of continuous headphone use for your kids. After which, you can give them a break for several hours and then you can allow them again to use headphones after hours of breaks. Ears too are like muscles, they deserve some good use as well as a good time to rest and relax. According to OSHA or Occupational Health and Safety Administration as well as the Center for Disease Control and Prevention or CDC, listening to sounds at ranges above 85 DB at prolonged periods of time can render a person at a huge risk of developing hearing loss. According to the organization, headphone use above 8 hours can cause serious issues to the overall health of the ears. According to them also, listening to sounds above 120 dB even at a short period of time can lead to immediate hearing loss. The lesson in all of this is that headphones are definitely not the culprit here. It is how your kids use and listen to music. Music is a good thing and it allows us to feel things and reflect. However, if the above mentioned cautionary tips are not observed, you might expose your kids to hearing damage or even loss. Luckily, there are always workarounds and efforts made by headphone manufacturers that help combat the development of hearing loss from headphone use. Make sure to take note of these so that your kid’s ears are kept safe and healthy as always.